CENIA, Czech Environmental Information Agency, an agency of the Ministry of Environment of the Czech Republic, is using NAKIVO Backup & Replication to improve VM backup speed by 2X and reduce storage space by 50%. CENIA, Czech Environmental Information Agency, is a state consultancy company under the Ministry of Environment of Czech Republic. 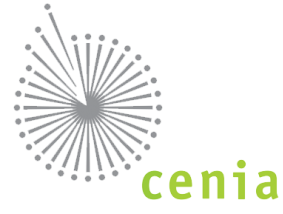 CENIA collects and administers environmental data for the Czech Republic and provides independent environmental information in the economic and social context. Their main mission is to provide environment assessment and expected development of the state of the environment in the context of national trends and global megatrends. Decision and policy making support, continuous feedback, and advice are the key objectives of CENIA. The virtual environment at CENIA stores anti-spam, lotus domino mail and application server, accounting, WSUS, application server, and a web server. "Any issues with the virtual infrastructure can have a direct impact on CENIA's services (it is especially critical to have a recent backup of the accounting and shared data). That is why a backup solution is a vital component of maintaining our 24/7 availability," says Petr Šmídek, ICT Administrator at CENIA. Previously, CENIA used custom scripts as a method of data protection, but failed jobs, as well as long backup time were a common occurrence. "I noticed that it took a whole weekend for the previous solution to back up a VM with 1TB of data. In addition, the storage space was expanding rapidly. Basically, we decided to evaluate other available solutions on the market to ensure fast and consistent VM backups, and also offered reliable deduplication and compression," says Petr. exTerra Services introduced NAKIVO Backup & Replication to CENIA as a possible solution to problems with VM backup speed and increasing storage space. CENIA decided to switch to NAKIVO Backup & Replication due to a perfect combination of a rich feature set at a great price. "Initially, I was pleasantly surprised with how easy and intuitive the product is, appreciated the simplicity and clarity of the web interface, and also the fact that it does not overload the servers. We installed NAKIVO Backup & Replication on Ubuntu Linux by running a single command and started to perform VM backups to our NAS," says Petr. With NAKIVO Backup & Replication, CENIA was able to significantly improve VM backup speed in comparison to the agency's previous solution. "I attribute this change to VMware CBT technology that enabled us to finally have incremental backup jobs. With VMware CBT technology, VM backup time is significantly reduced," says Petr. Another option that Petr appreciates is the ability to create recovery points in the backup repository for each VM. With NAKIVO Backup & Replication there is an ability to save up to 1,000 recovery points per VM backup. Finally, CENIA solved the problem with increasing storage space with NAKIVO's data deduplication feature. "Deduplication is strong and we were able to decrease storage space by 50%. Previously, our storage was swamped with huge backups, but now with deduplication, we have more efficient disk space utilization and can store more recovery points per VM. Lastly, we tried instant VM recovery and instant file recovery and both features work to our complete satisfaction and would be life savers in a disaster situation," says Petr. NAKIVO Backup & Replication provides CENIA with 2X faster VM backup speed and VM backup storage savings. Thanks to automated email notifications, CENIA benefits from reliable VM backup. "Finally, VM backups finish correctly and do not require days of work. On average, I was able to save 5 hours per month of my own time that was previously spent on checking and controlling VM backups. With NAKIVO Backup & Replication, I just get an email and I can see that VM backups finish successfully. With deduplication, we were able to decrease storage space by at least 50%. NAKIVO Backup & Replication solution delivers high performance and real-time alerts to ensure CENIA’s success," says Petr. CENIA, Czech Environmental Information Agency is an agency of the Ministry of Environment of the Czech Republic. CENIA’s mission is the collection, evaluation, interpretation, and distribution of environmental information. CENIA also manages the Integrated System of Reporting Obligations – ISPOP. This system ensures compliance with mandatory reporting legislation, which aims to protect the environment, while providing cross-sectional data for gaining essential environmental information. CENIA works with all providers of data sources within the environmental sector and with a number of scientific institutions and university departments. In the Czech Republic, CENIA is the main focal point for the European Environment Agency (EEA) and is involved in the European Environmental Information and Observation Network - EIONET. Several project teams are working together with CENIA on international and national based projects. All available sources of information, electronic versions of publications, including links and ways to use the resources and services that CENIA offers are available at www.cenia.cz.